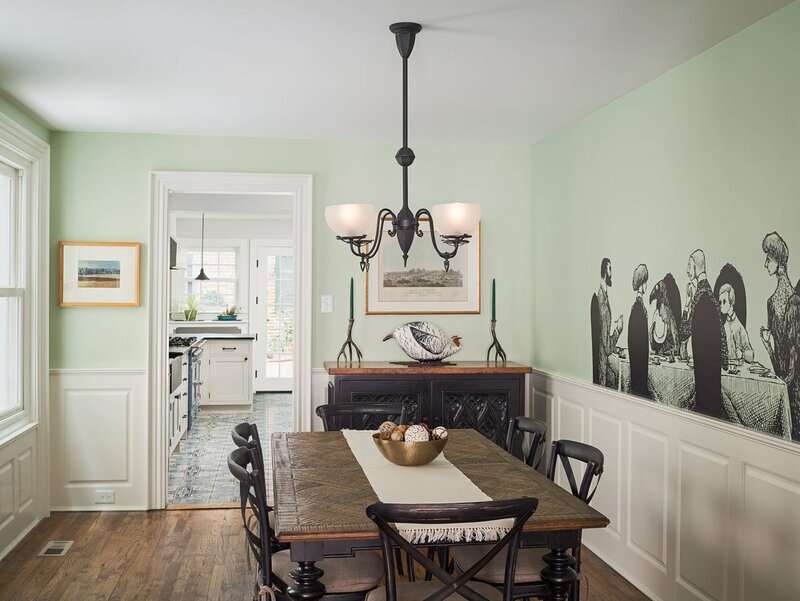 At this home, built in the late 1800’s on Fairmount Ave in anticipation of the Centennial celebration in Fairmount Park, we worked with client’s who we really clicked with in terms of design sensibility. 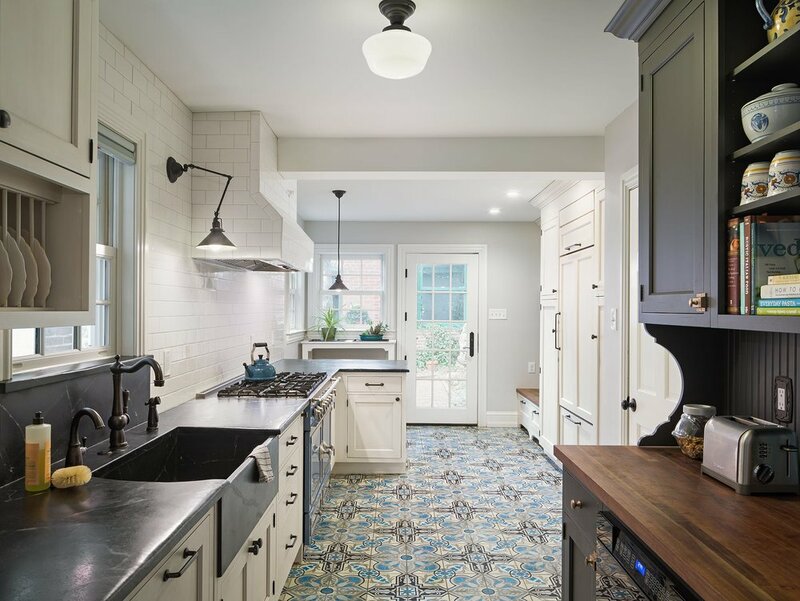 So much so that they selected the same cement tile for their kitchen that we used in our own. Fun things happen when the collaboration is so effective. The master bath also features cement tile, in a trompe l oeil pattern. One wall in the dining room is covered with mural of an illustration from an Edward Gorey story called “The Uninvited Guest”. We renovated every room in the house, including finishing a previously unfinished basement, but the kitchen turned out to be a bigger project than we expected. While the back half of the kitchen is the same footprint as the original, the old addition turned out to be structurally unsound. A brick floor, when demolished, revealed nothing underneath but termite chewed wood. It looked like shredded wheat and it was a wonder the floor had never collapsed. As we took down the addition we found a fully intact outhouse within a mystery space in the old kitchen. This freed up enough space for a bench and storage when you come in the back door, and a paneled built-in fridge.